“Forgotten Paths” by Saor is a damn good album. 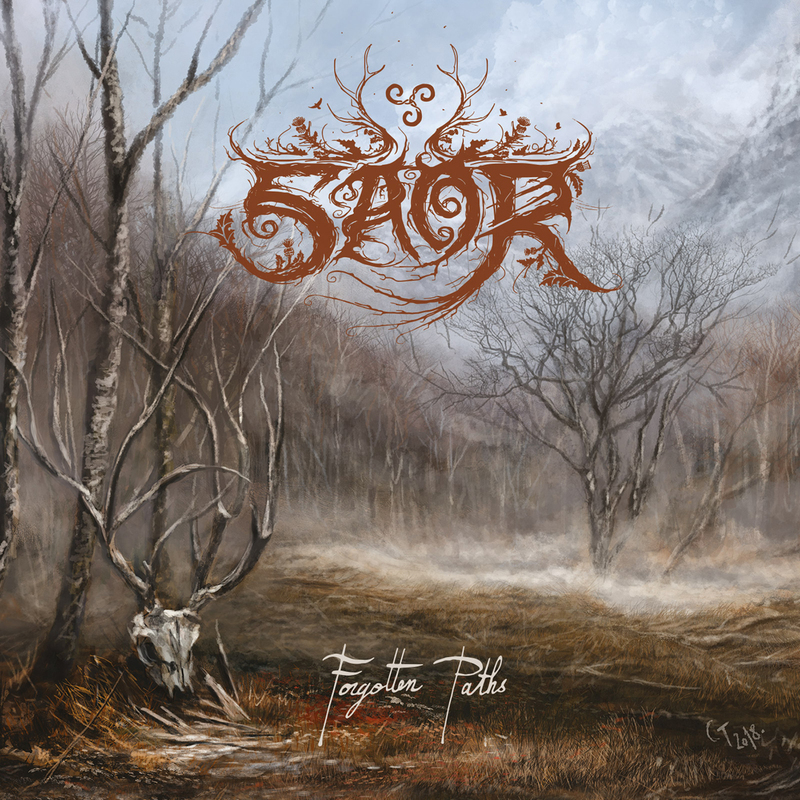 Saor is a band that sounds like no other yet borrow from plenty of elements that folk and black metal bands utilize in their own sound. Saor uses atmospheric black metal, Celtic folk and traditional Scottish instrumentation and writing to forge it’s own sound and remain unique among the sea of atmospheric blackened bands out there. Wildly expressive, emotional and beautiful, Saor has always been one of those bands that stuck out to me with its expansive sounds and catchy riffs and imagery. This is definitely one of those bands you listen to while out on a hike, enjoying the scenery and breathing in the air….enjoying life. Saor would make that experience even greater. Of course, you don’t need to be outside to enjoy Saor’s music, it’s perfectly fitting and fantastic anywhere you are. Mare Cognitum “returns” with a re-release of their debut album, “The Sea Which Has Become Known“, one of the more visceral atmospheric black metal releases ever unleashed upon the public ear. Usually when a band from this genre puts out a release, it fully emphasizes more on the layers of atmosphere and is typically slower in many aspects. Few bands can put forth a power drive and stay truly atmospheric…Darkspace comes to mind. However, cosmic and atmospheric is something Mare Cognitum does right and this album will also shred your face with raw guitars and vocals. After one full listen, I am hooked. Nullingroots returns with their 4th studio album “Into the Grey” and it’s blackened post-metal done right. Somber and depressive riffs cloud my mind as percussive bliss shatters my thoughts, all while the vocals scream such beautiful nothings loudly and unforgivably. I’ve been slow to listen to much black metal this year, let alone post-rock musings, so hearing this combination of music together and done right was easily something I could enjoy and get down with. Nullingroots gives us only 5 songs on this album but the longer tracks grabs a hold of me and never lets me go. Mesarthim is a cosmic atmospheric/trance like black metal act based out of Australia and out of all of the black metal bands who use the open void that is the universe as their main theme, Mesarthim is the best. I’ve been an avid fan of theirs since I first heard their debut release “Isolate” early last year. They capture the endless drifting feeling, isolation and capture just how small and insignificant we truly are on this floating rock we call Earth. The new album, “.- -… … . -. -.-. .”, (No I am not going to try to decode that Morse code) is another fine step in the right direction for this bands style and they add even more black metal moments to the writing to make it even more heavy.